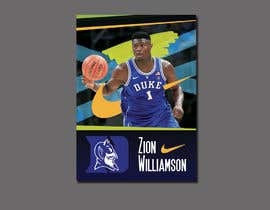 I&#039;m looking for a sports card design for printing in size of 788 pixels by 1088 pixels, 300dpi, in CYMK profile. 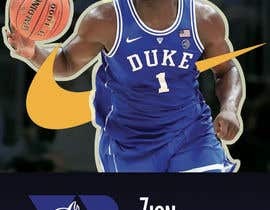 All crucial info on it needs to be at least 0.125&quot; from the border/edge since that is the trim for cutting. I have attached examples to show what I mean. File 01 is a full 788 x 1088 file with the trim as shown, file 02 shows what it will look like after the 0.125 is taken off in printing. 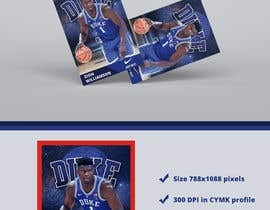 So all crucial info and imagery needs to be within the 750 x 1050 space, as the 788 x 1088 card is going to be cut in the printing process. 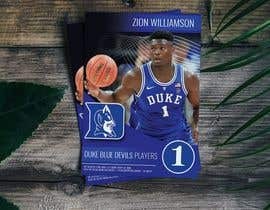 I&#039;m looking for a card designed for Zion Williamson in a Duke Blue Devils uniform. 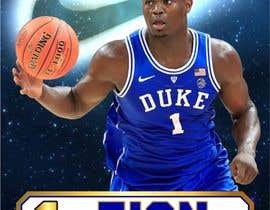 I have some examples attached (files 03-11) of others&#039; for ideas of what to do if not familiar with sports cards. 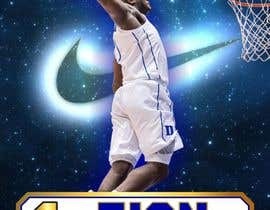 I&#039;d really like if something can be done with a Nike Logo like the last one (file 08). 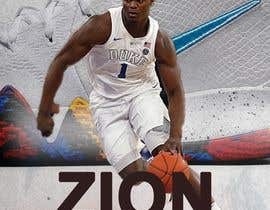 So overall, a sports card design, that&#039;s 788 x 1088 (can be vertical or horizontal, either is fine), of Zion Williamson, in a Duke Blue Devils uniform, preferably with something Nike related. By all means, feel free to be very creative in what you do. I&#039;m just looking for something fancy and eye catching like the examples shown - something that really stands out. Any questions let me know, I&#039;ll do a follow up post for the back to be designed once the front is made also, thanks everyone. 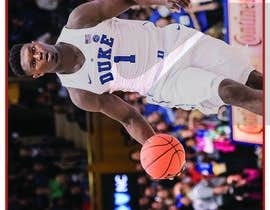 Anyone see this post? Does it make sense? Is the amount too low?